My favorite customer, Mary Kay, came to me with three different pieces of vintage jewelry that she had obtained through a family inheritance and an estate sale. She loved the pieces but wanted to update the style of the pieces and create a coordinating 3-piece jewelry set. 3. Make the earring with her preferred leverback earwires. Everything else she left up to me. I quickly discovered that two of the vintage Swarovski Crystals in original the design were no longer available but that did not hinder the design process. Since the original bracelet was a two-strand, it provided more than enough crystals to work with. 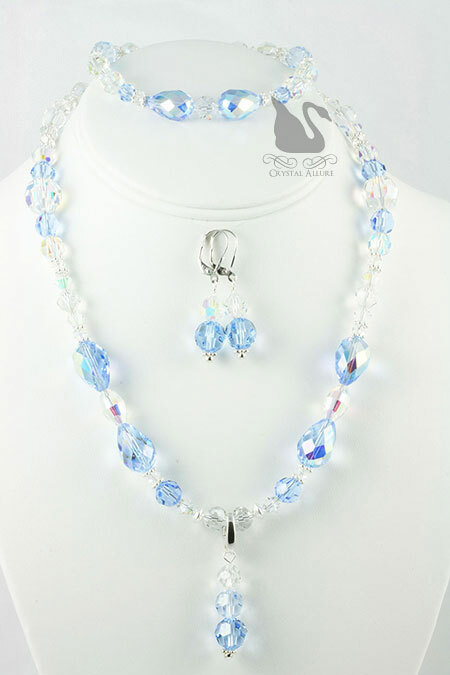 I added more sterling silver, a few fresh new soft blue light sapphire Swarovski Crystals and the removable trigger clasp for the pendant on the necklace. This custom project did pose a few challenges but after thinking about it long enough and then just sitting down at the studio table, it all came together in literally one night. I may have restrung the necklace three or more times, but the end result is a stunning 3-pc. 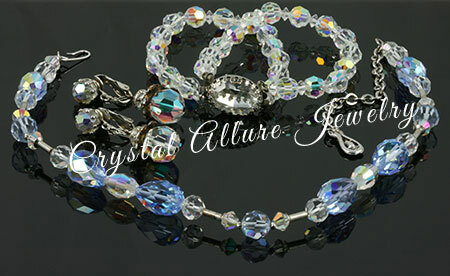 modern vintage Swarovski Crystal jewelry set -vintage redux!! The original pieces... very much vintage, but....DRAB!!! I created a stunning three piece original crystal jewelry set, using 90% of the vintage crystals that Mary Kay supplied from her older pieces. Her vintage jewelry set went from drab to fab!! The redux with style for today's woman -FAB!!!! Custom vintage beaded necklace is adjustable 17"-19" with a removable triple-drop crystal pendant charm. The custom vintage crystal beaded bracelet measures 7-1/2" and the vintage earrings measure 1" from the bottom of the earwire. Now Mary Kay has three unique pieces of jewelry that all work together or can be worn individually! "OMG, the set is absolutely gorgeous!!!" 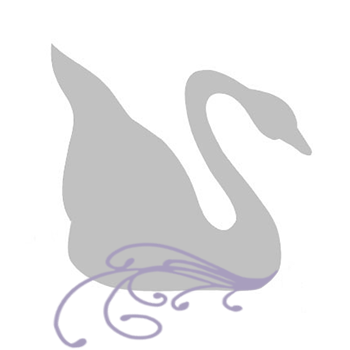 Much lovelier than the original! I think putting more emphasis on the front including the pendant gives it polished look.